February 3rd’s Genesis 6 proved to be a interesting tournament for Melee fans that could shape the future of the sport. The grand finals developed into a lifetime-high run from Tempo Storm Axe, ending with a heart breaking loss to Liquid Hungrybox in a 3-2 set that featured a time out in the pivotal third game. For Axe, it was a fight for inches that resulted in some of the most measured and methodical play of his career. For Hungrybox, it was just another Supermajor Sunday. The question of “who’s the best” in Melee has recently evolved. 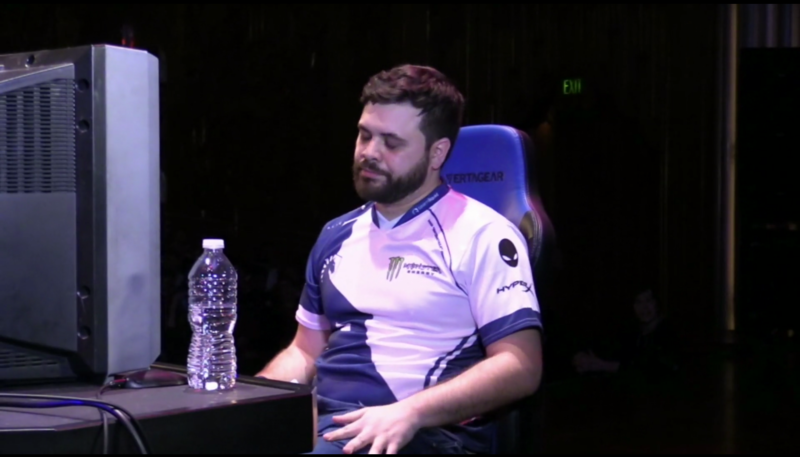 With the retirement of Armada, the only competitor Hungrybox had a losing record on over the past year, and the rising up of “demi-gods” like VGBC Amsa (who placed 4th at the event, only losing to 3rd place PG Plup and Axe), PG Zain (Who placed an unlucky 9th, losing to both Plup and Axe as well), Wizzrobe (who didn’t enter), and Axe himself, the gap appears to be closing between the Top 6 and the tier of players below them, as well as widening between Hungrybox and the rest of the Top 10. By no means does this mean that Hungrybox is unbeatable though. With more patient, clock-running play, it was within reason for Axe to take the first set of grands, and Plup’s loss to him appeared to be the result of a missed dash input on Hungrybox’s final stock: a micro-error that completely changed the tournament’s outcome. Additionally, Top 8 competitor HLCG S2J took Hungrybox to game 5 earlier in winner’s bracket before getting dismantled due to sloppy and exhausted play. For many, the big stories of the tournament were made possible by TSM Leffen’s decision to drop out of Melee singles to compete in Ultimate, where he placed 17th, as well as fan favourite C9 Mang0’s early drop to losers at the hands of 97th ranked Magi, and FOX Mew2King’s consecutive losses in the first round of Top 64 to Demise Trif and PS Bananas. These bracket upsets cleared a straight path for underdogs like Amsa and Axe to make the big impressions they did that Sunday night. Amsa would eliminate Mang0 in losers quarters of the tournament, with Axe taking down the likes of Ginger, CLG PewPewU, Amsa, and Plup on his way to the final stage. The first Supermajor after Smash Ultimate proved to be interesting for the game. In it’s wake, some are trying to figure out how to change Melee to keep gameplay from stagnating. Suggestions so far have been the banning of wobbling (which has already taken hold in Tennessee), the banning of Jigglypuff (likely spurred by Hungrybox’s dominance, and the amount of games that have resulted in a time out when the character is on screen). While a consensus hasn’t formed yet on these issues, it raises the question of how Melee is expected to compete with a title that equals it in gameplay speed (something previous iterations of Smash haven’t attempted to do) and exceeds it in the size of both its character roster and overall balance. The next major in Melee is Full Bloom 5, which will take place in Bloomington, IN, on March 23-24.